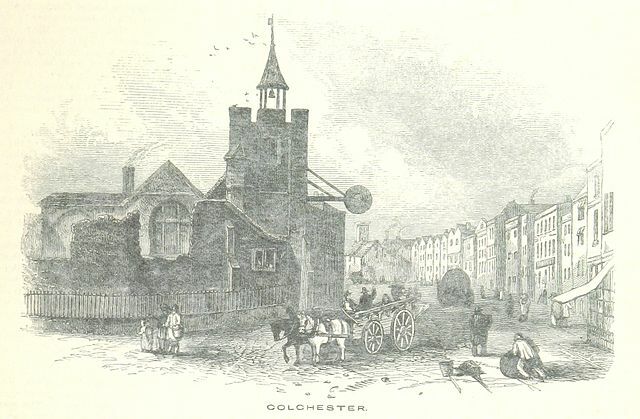 Introduction: As they did in all medieval English towns, men dominated the operation and everyday business of the medieval borough courts of Colchester. Male litigants, male attorneys, male jurors, and male pledges pleaded, indicted, and were attached to the dozens of lawsuits that appeared before each court session. Less frequently, names like Christina, Joan, Alice, and Agnes punctuate the long list of male litigants, providing us with rare glimpses into the personal and working lives of Colchester’s female population. Women were significantly underrepresented at court, which perhaps spoke largely to the concerns and interests of urban male authorities under whose legal purview the courts fell. By examining the frequency and types of infractions for which women were cited at court and, additionally, the complaints women brought in the first half of the fourteenth century, this essay aims to explore the legal and cultural implications of women’s representation in the borough courts. This exercise highlights a historiographical debate centering upon differences in legal and social historians’ use of legal records to detect patterns in behavior and thought in pre-industrial societies. Do medieval social historians have an understanding of customary law as it was implemented in medieval courts sufficient enough to make assumptions about cultural norms through an examination of cases and disputes? Barbara Hanawalt fired the first shot in this debate with the publication of a series of articles in the 1970s that used cases from gaol delivery and coroners’ rolls to paint composite pictures of peasant families and crime, childrearing, and female felons. Hanawalt’s confidence that her records and sample size exposed social interactions and definitive patterns of crime have led legal historians to criticize her work for failing to adequately consider the legal institutions, procedures, and personnel that produced such records. This essay aims to reconcile the seemingly disparate strains of legal and social history by examining women’s roles in a legal structure largely dominated by elite urban men. This analysis must consider the courts’ customary procedures and laws that provided the legal foundation for which women were able to prosecute their suits or were cited at court. In his seminal book The Consumption of Justice, Daniel Lord Smail concluded that emotions and reputation figured largely in medieval people’s motivations to spend a copious amount of money on litigation. His thesis sought to define the court not as an apparatus of state-sponsored justice, but as a venue in which litigants’ personal vendettas and grievances was aired. While I do acknowledge the courts as public spaces in which legal violence was carried out, I also emphasize that the legal procedures and male personnel of these urban courts determined the types of cases, and the language used in such cases, in a system built upon the economic concerns and interests of a male urban elite. By focusing on legal procedure in the borough, as well as women’s status and agency within its judicial system, this essay aims to uncover the cultural significance of gender by examining women’s status in these courts as part of the larger discussion on law as a discourse of power. We turn now to discuss the legal and social developments of the borough courts in medieval England in order to better understand the legal culture in Colchester.